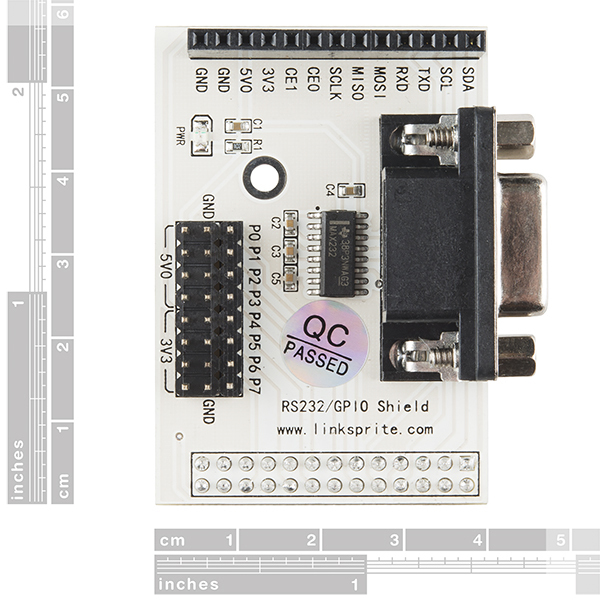 The Raspberry Pi is a fantastic development board, it is known, but wouldn't it be great to attach an RS232 port directly connected to your RPi, look no further than this RS232 shield. 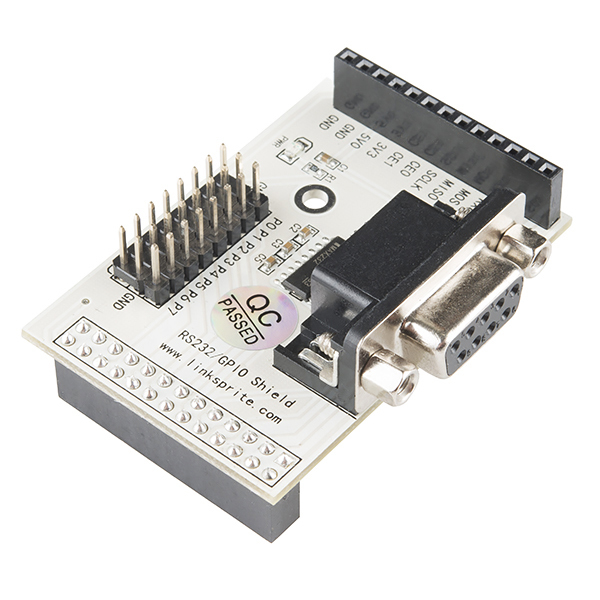 The RS232 serial port used to be the standard connection for most peripheral ports on PCs, but now the port is primarily used on industrial equipment and automation prototyping, with the RS232 Shield and its DB9 connector, you can now easily access those elements straight from your Raspberry Pi. This device can damage the Pi by putting 5V to the GPIO pins. The chip should be a MAX3232 fed from the 3V3 supply! Anyone who buys this is risking their Pi! Come on Sparkfun, sort it out! Sigh Regarding the 5-volt chip on the board, I assumed that since SparkFun still offers this product for sale, the problem had been resolved. But no. 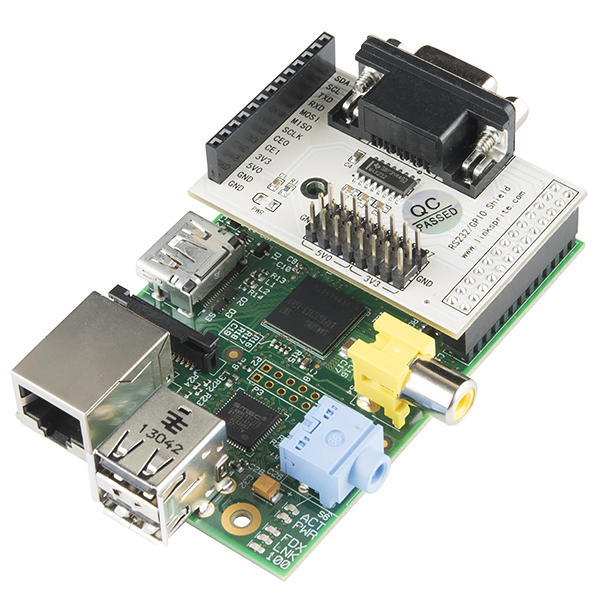 I ordered one, and the item that arrived still drives the Raspberry Pi's GPIO with 5 volts. So this product, DEV-12827, still can't be used for anything safely. Don't bother buying it. I don't understand why it's still offered in the store. Is this compatible with the B+ model? 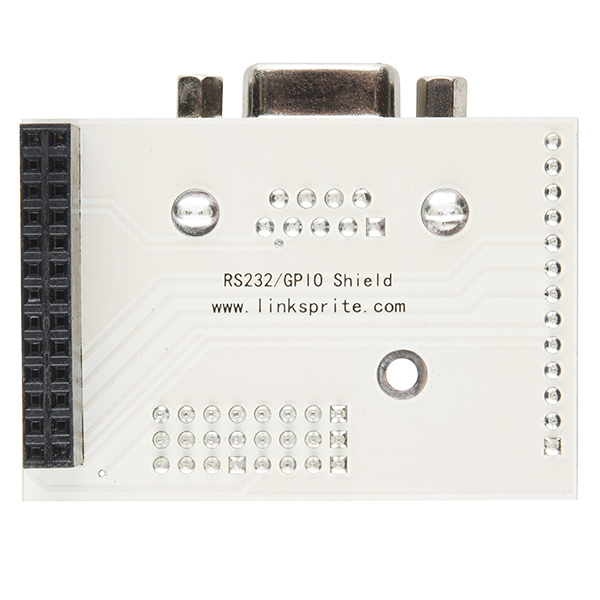 Isn't the 5V MAX232 incompatible with the 3.3V Raspberry Pi? Why doesn't this use the MAX3232? Probably a perfectly fine level converter, but it's got the usual Pi accessory problem that it wants to be mounted directly to the board where it messes up the fit into every case sold (not just SF's), covers up other headers and pins and prevents the use of any other accessory designed to also plug into the GPIO connector (which they all are). Checking the wiki I see this is just a level shifter with a convenient breakout board and connector.